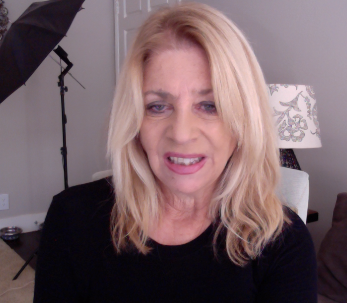 THE WOMAN WHO KNEW TOO MUCH…. 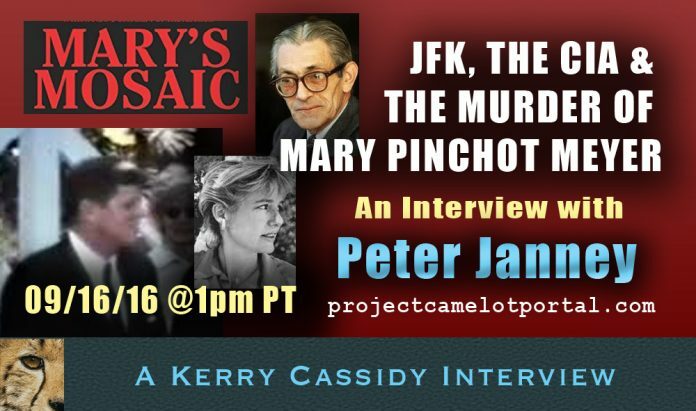 I INTERVIEWED author, Peter Janney, re his book, “MARY’S MOSAIC” about the murder of Mary Pinchot Meyer, wife of Cord Meyer and Mistress to JFK. This is a fascinating book about the conspiracy surrounding the murder of Mary Meyer and her relationship with JFK. This is a very important book with key info about the Kennedy Assassination and the death of Mary Meyer, Kennedy’s mistress. Peter Janney grew up in Washington, D.C. during the Cold War era of the 1950s and 1960s. His father Wistar Janney was a senior career CIA official. The Janney family was intimately involved with many of Washington’s social and political elite that included the family of Mary and Cord Meyer, as well as other high-ranking CIA officials such as Richard Helms, Jim Angleton, Tracy Barnes, Desmond FitzGerald, and William Colby. A graduate of Princeton, where he studied American history under Professor Martin Duberman, Janney earned a doctoral degree in psychology at Boston University in 1981. He has been a practicing psychologist and consultant for over 30 years. 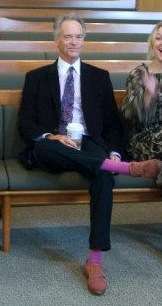 In 2002, he completed an MBA degree at Duke University’s Fuqua School of Business. Mary’s Mosaic is his first book. He currently resides by the sea in Beverly, Massachusetts.